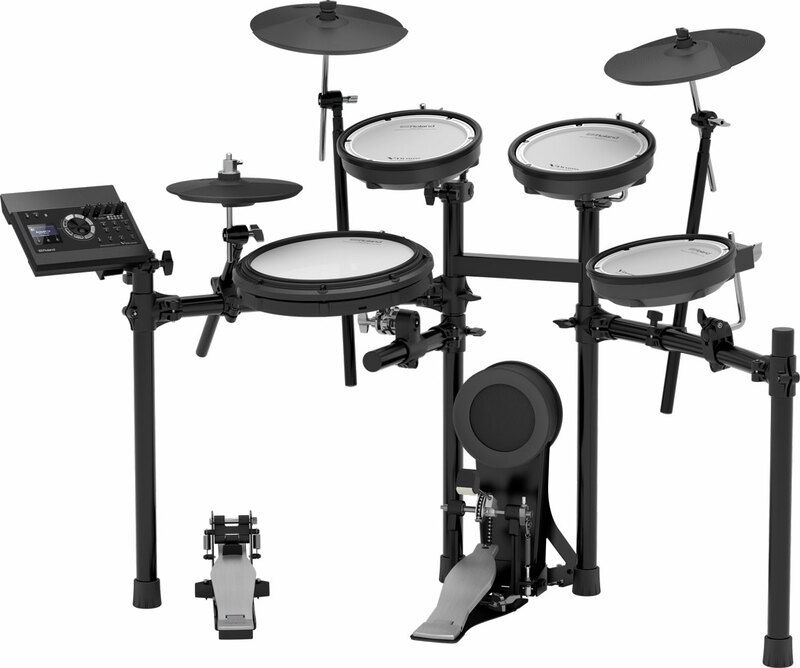 Our Unique Rent-to-Purchase plan makes it easy to start with a quality drum set! 100% of first 6 months apply toward the purchase – plenty of time to decide if it’s a success! These drum sets are great for the young beginner learning the basics of drum set performance. 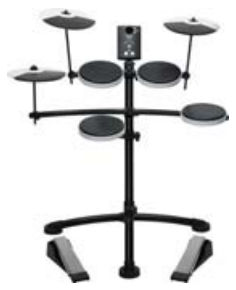 They feature a smaller frame, Music Tutor which allow you to slow down MP3’s, Rhythm Coach for rhythm drills and games, all of which makes practice more fun and musical. Headphone jack for silent practice. The TD-17KV features mesh pad toms for a more realistic feel, and the TD-17KVX adds upgraded cymbals. 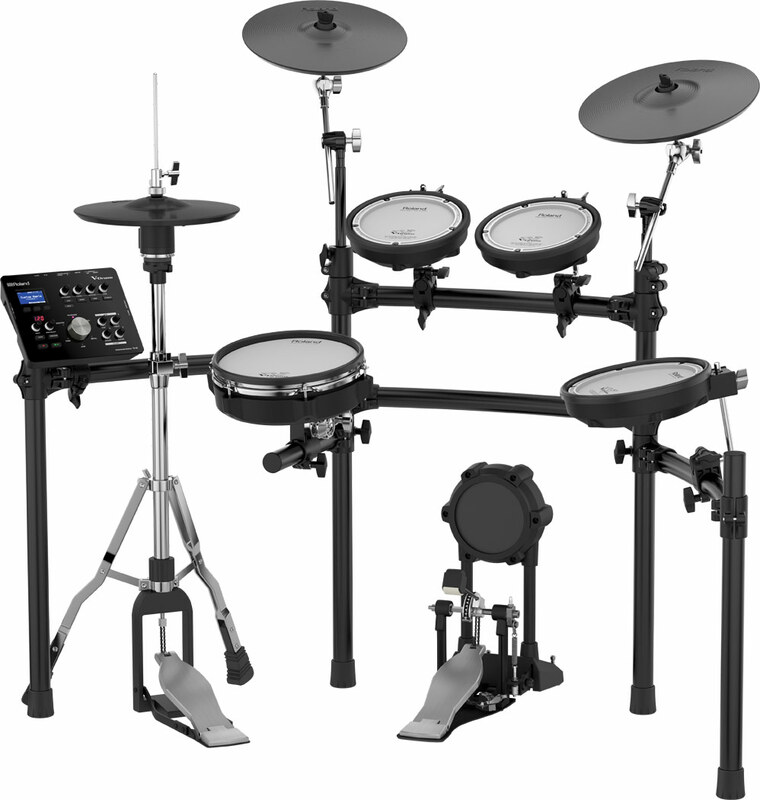 These drum sets are ideal for teen or adult students, as well as advanced students that want a better drum set to meet the needs of their growing musical repertoire. TD-25 step up features: more expressive & sensitive, more sounds assignable to pads, ability to fine tune each sound, larger stand, hi-hat cymbal pad that uses a traditional hi-hat stand*, and the option to add a 4th tom (and 2nd crash cymbal for TD25K) as your musical needs grow. The TD-25KV features fancier shell casings for the snare & toms, plus a 10” snare & 10” low tom, and includes a second crash cymbal. 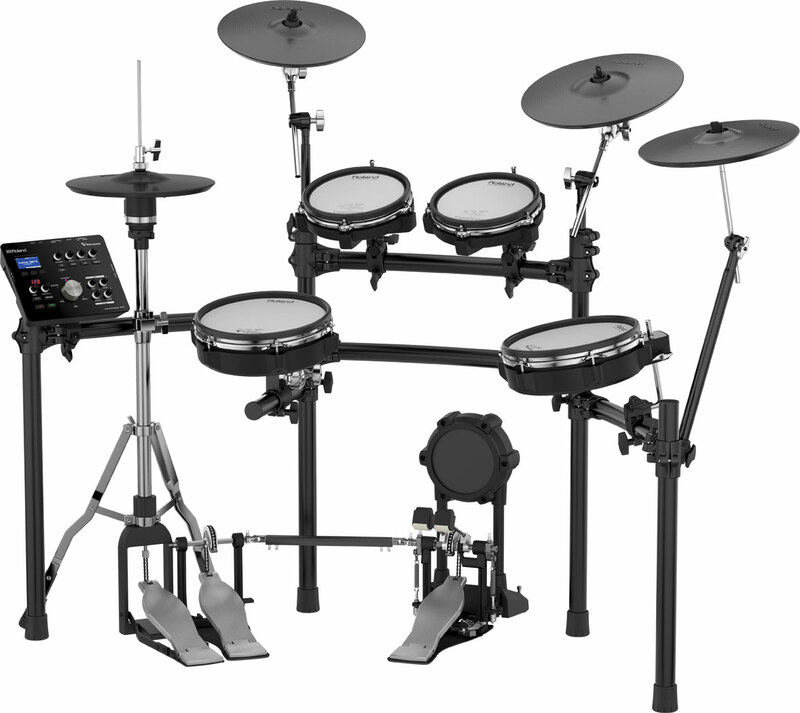 These models are the lowest priced Roland drum sets and of the highest quality of any brand in this price range. You need GOOD headphones. Cheap headphones have very little, if any, bass, (so you can’t hear the bass drum) nor very few highs (like the cymbal sound). Electronic drum sets can only sound as good as the headphones you attach to them. You can purchase headphones from us for 25% off. They range from $30 (the bare minimum that will work with the drum set) to $250 (which sound like a $2500 speaker system). The best value headphones we sell are $60. We highly recommend you rent a drum amp/speaker designed specifically for your electronic drum set. It’s important for drum students to be able to share with friends and family their drumming skills. Guitar amps & Bass amps do not work very well, neither do home stereo systems. 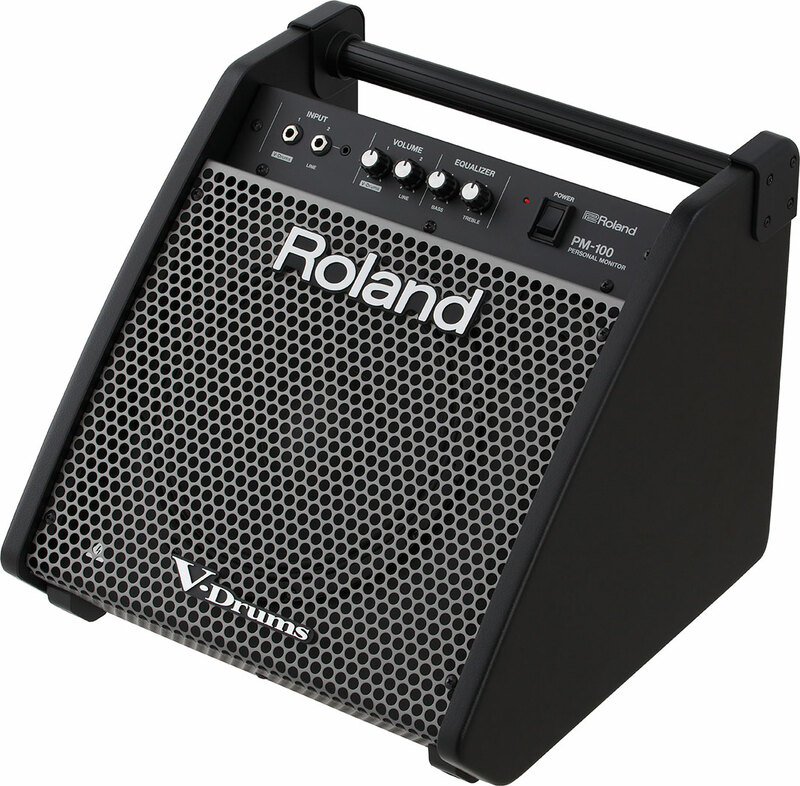 The better amp/speaker, the more the Roland drum set will sound like an acoustic drum set. 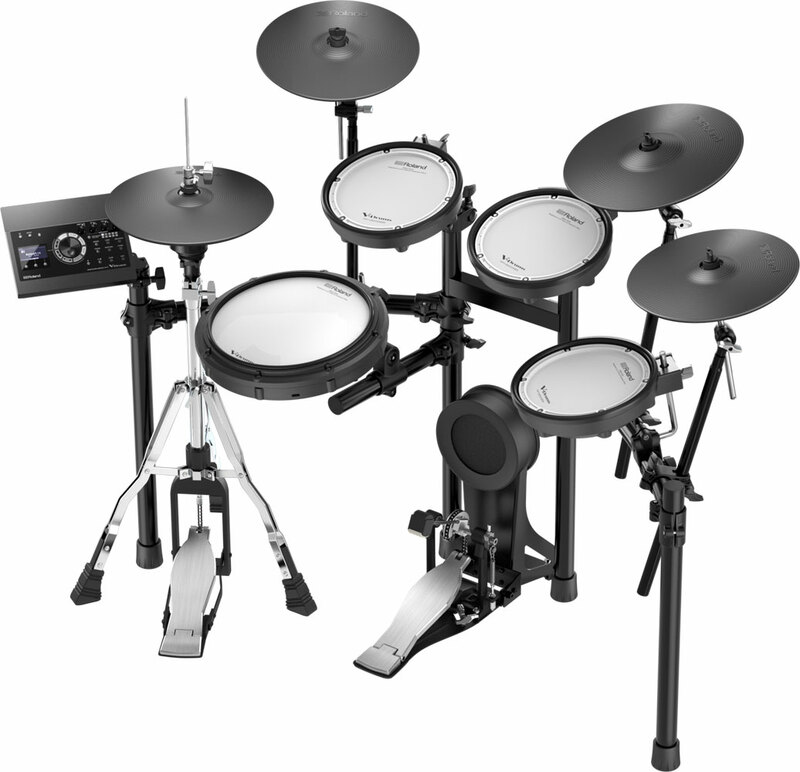 The Roland PM-Series are specifically designed to bring out the full power and sound capability of the Roland V-Drums. *NOTE: Amp rental rates are only valid with a drum rental. Read our FAQ‘s for delivery or pickup options, deposits, rental area limits, and more.